Am I the only one who had my mind BLOWN?! It all started with a Reddit post that suggested our beloved romantic musical is actually quite tragic. A very pure and demure girl from Australia, Sandy (played by Olivia Newton-John in the movie) meets Danny (played by a very young and dimpled John Travolta) during the summer before senior year of high school. He supposedly saves her from drowning while they were fooling around on the beach during their romance of "summer loving." At the end of summer, Sandy and her parents are to go back to Australia, while Danny goes back to his high school. SPOILER: Sandy's parents decide to STAY, and she and Danny wind up going to the same school, a fictional (and 1950s fabulous!) Rydell High. Because Danny is cool and in the Thunderbirds (I know, please stay with me, though. It gets better! ), he acts like he barely cares for Sandy, even though he does yearn for her. The movie is a back and forth of mishaps, possible pregnancies (I'm telling you! JUST WATCH IT! ), and musical numbers that will have you singing into your shower head. Now that we've gotten that part down, let's talk about the theory that Sandy and/or Danny are actually dead, shall we? First, everyone is talking about the final scene: After the entire movie of Sandy being the long haired, virgin beauty, she changes herself COMPLETELY to make Danny like her (because that's what us girls do, right? *eyeroll*). She starts smoking, wearing a leather outfit with teased hair; you get the point. Danny, having the same idea, turns into a preppy boy to impress Sandy, while all the supporting characters storylines fall into perfect place with everyone having a happy ending. Sandy and Danny fly off into the gorgeous, blue sky. Yes, they fly into the sky in a car while all their friends wave to them from the bottom. Is this Sandy being driven to ... Heaven? Tell us what YOU think! For those that have seen the movie, we all remember the fantastic performance by Rizzo at the sleepover, right? Where she basically mocks Sandy the entire time and peer pressures her into piercing her ears? Good times! 1. 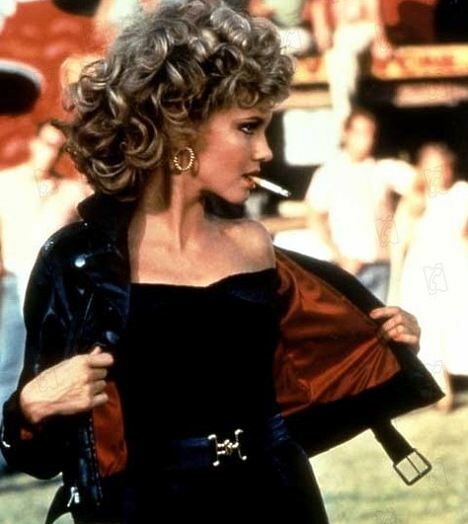 THEORY: The reprise of "Look At Me, I'm Sandra Dee" indicates she's about to kill herself. The last line is: "Goodbye to Sandra Dee." Obviously, it's just the preamble to her changing her ways, but some suggest she commits suicide, and that's her way of saying goodbye! TRUTH: The fact she asks her friend to help her out, the friend who does hair and make-up, indicates it wasn't a suicide. She was preparing for her change for the final scene! 2. 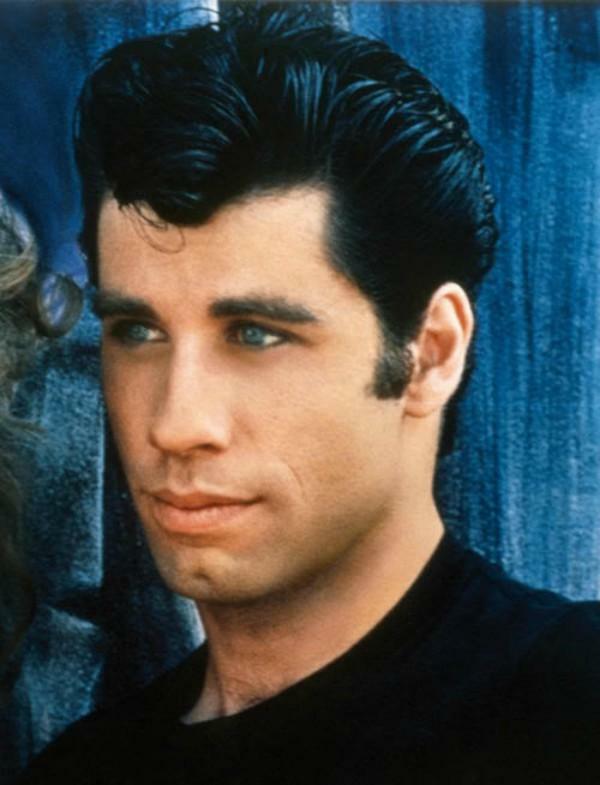 THEORY: Some say that BOTH Danny and Sandy drowned in the ocean and the whole movie are Danny's final thoughts before dying. And of course, there's one of the first big numbers: Summer Nights. In it, Danny tells his friends how he saved a girl because she nearly drowned (Sandy). He named the girl he was trying to save Sandy because BEACH! I really doubt he even tried saving her; I think Danny was just showing off to his pals. And without further ado, before I make my final conclusion, a tiny tidbit: In Grease 2, Sandy is mentioned by her cousin, and is referred to as if she is alive. WHOMP WHOMP! Sorry conspiracy theorists. ON TO THE NEXT ONE!